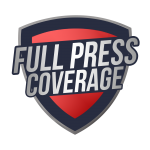 FPC - Arizona Cardinals News, Analysis, Podcasts, and much more! Whether playing the three or five technique, Wilkins is a difference maker when he is on the field. He has the skill set to play all three downs.